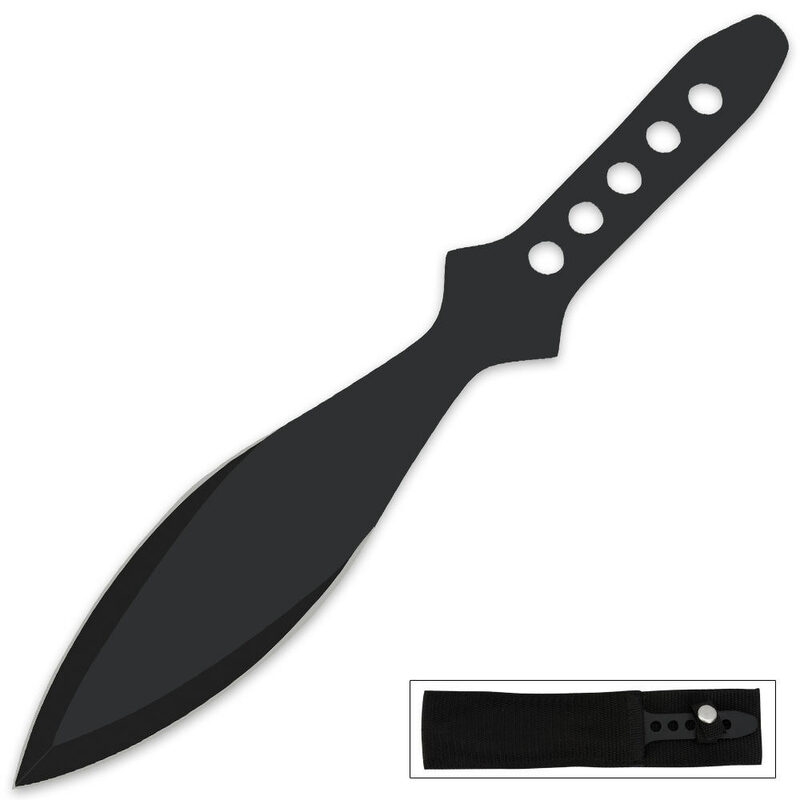 Our Budget Arrow Throwing Knife makes it easy to send heavy steel down range without breaking the bank. This thrower sports a wide double edged point and packs a hard punch. A line of centered holes accent the handle and can be used for lashing. I bought 5 of these and I can't be happier. They are very large-exactly what you want in a throwing knife. Cheap, quality knives. Solid feel, easy to stick. Happy as a clam! -Christian S.
recieved it a couple weeks ago. bent like a banana on the second throw. Will NOT EVER stick to it's target and I have been throwing for a year now and I can stick a butter knife easier than I can with this. Do not buy this knife. Not if you are a pro, not if you are a beginner. Not EVER. I regret buying this. Decent thrower. A little on the thin side and dull when it arrived but found an edge quick. Very slight bend after a few misses but still holding up. Just don't hit any concrete with it. Overall a great buy for a starter thrower.